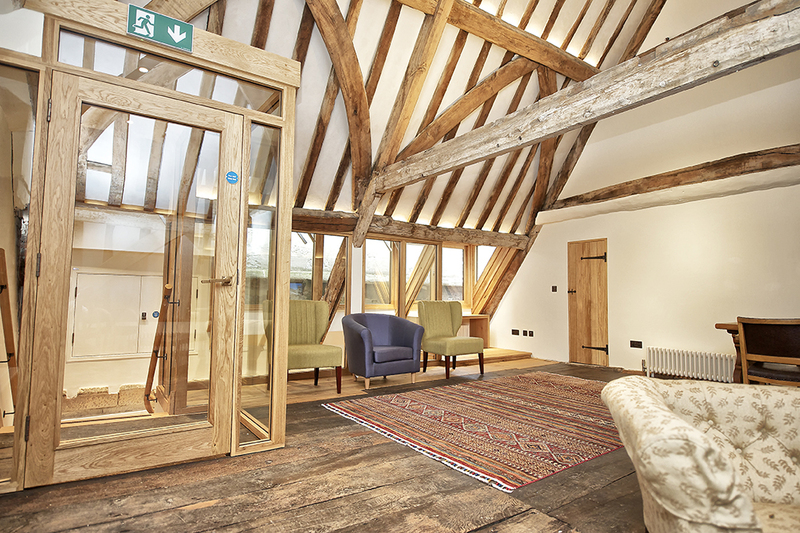 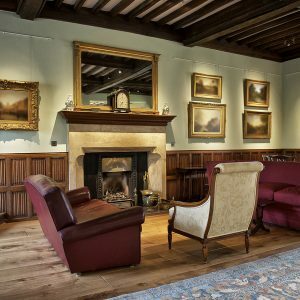 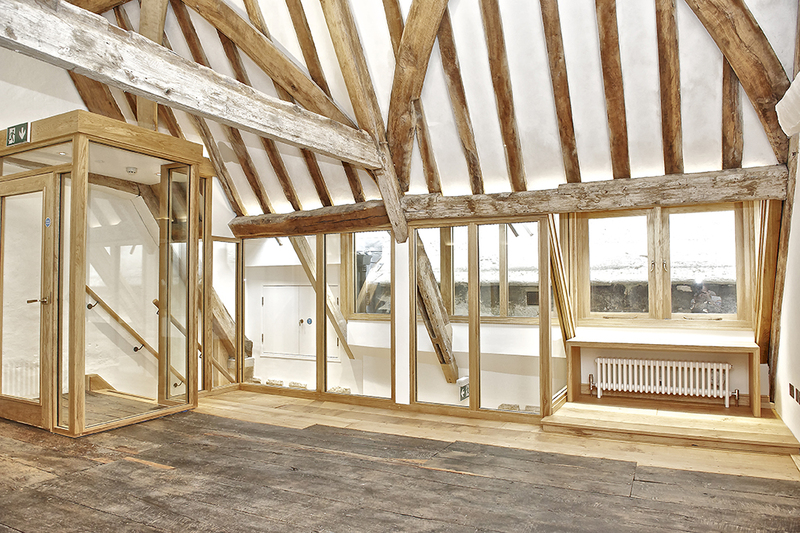 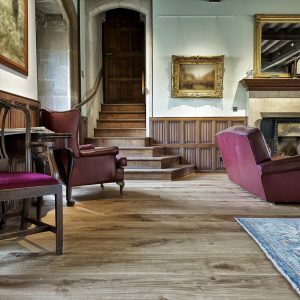 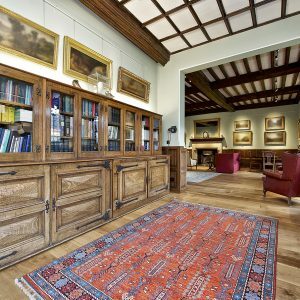 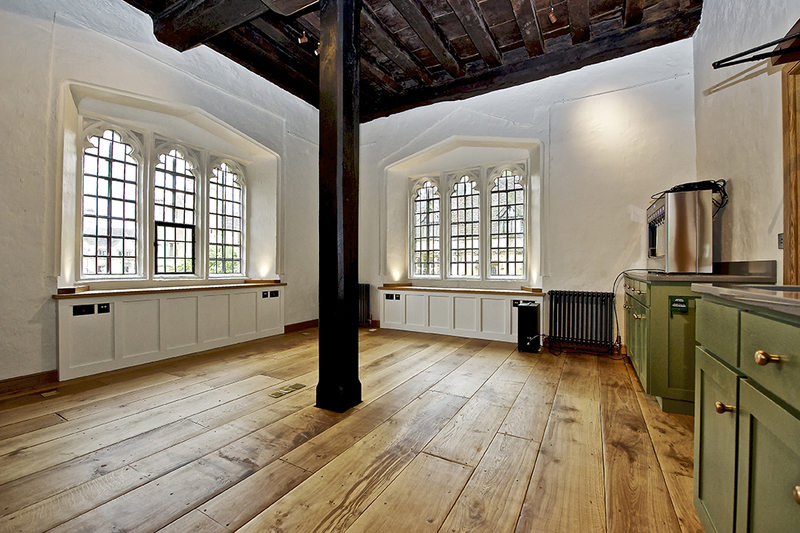 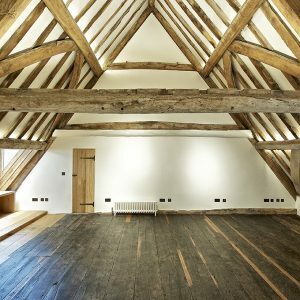 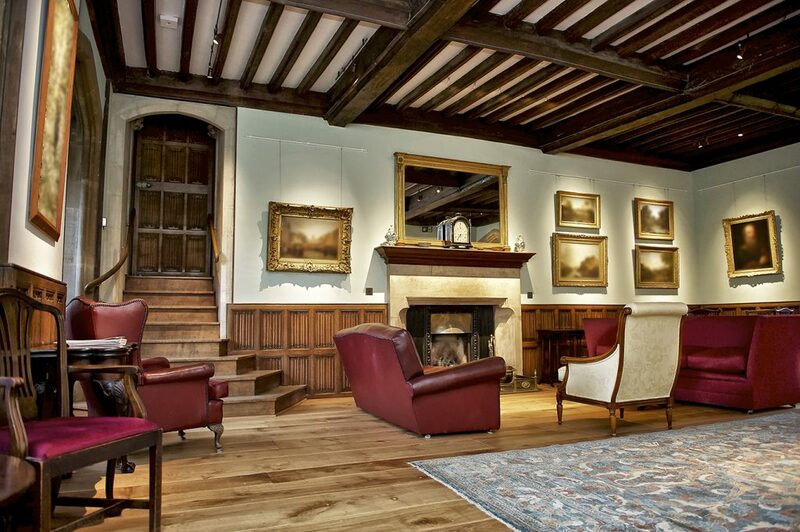 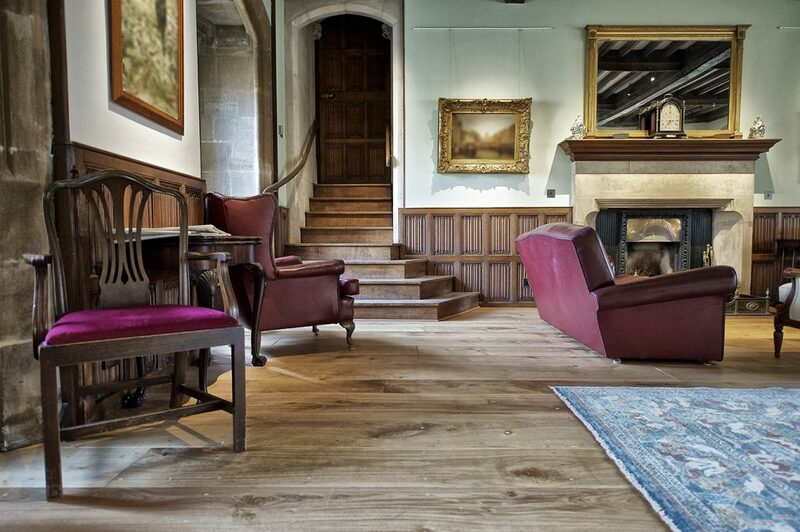 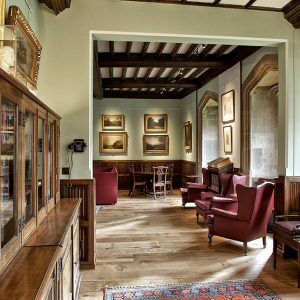 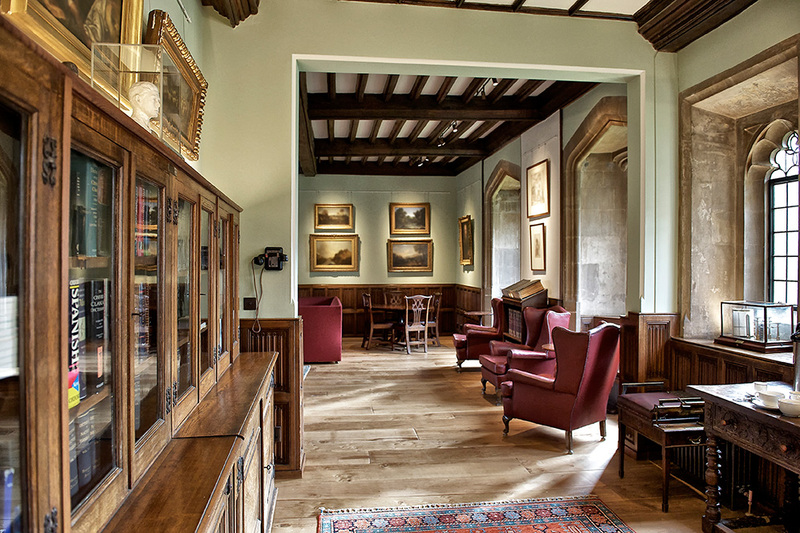 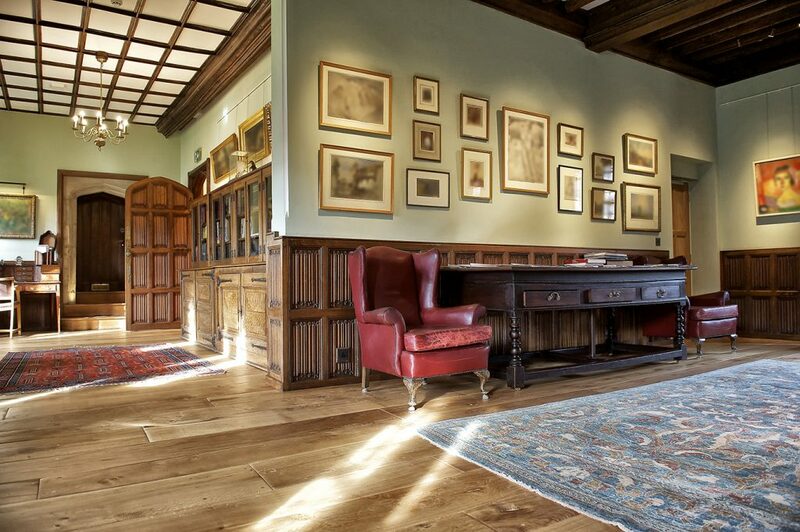 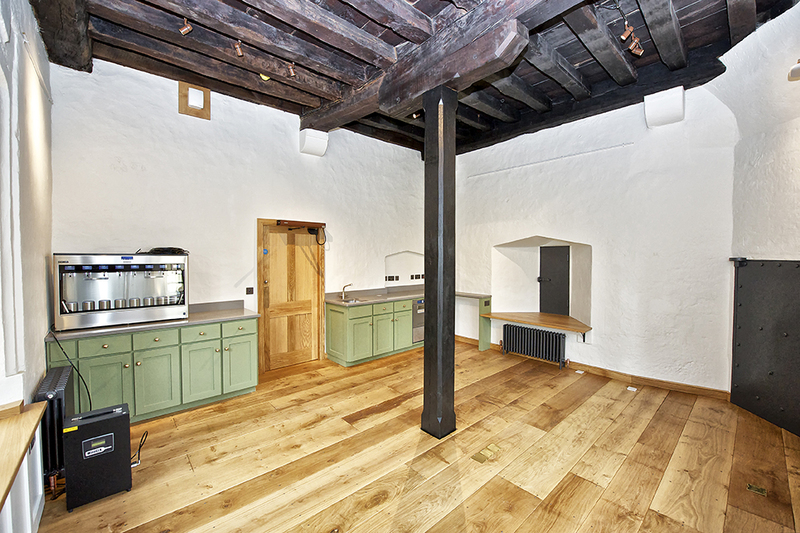 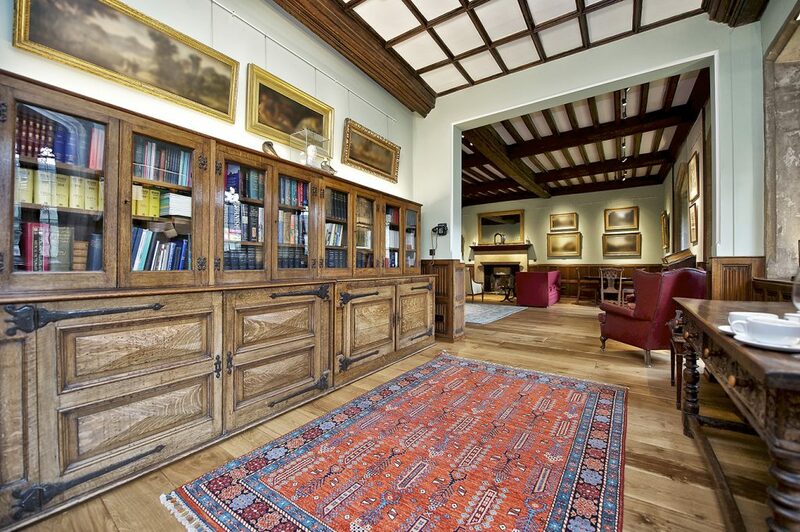 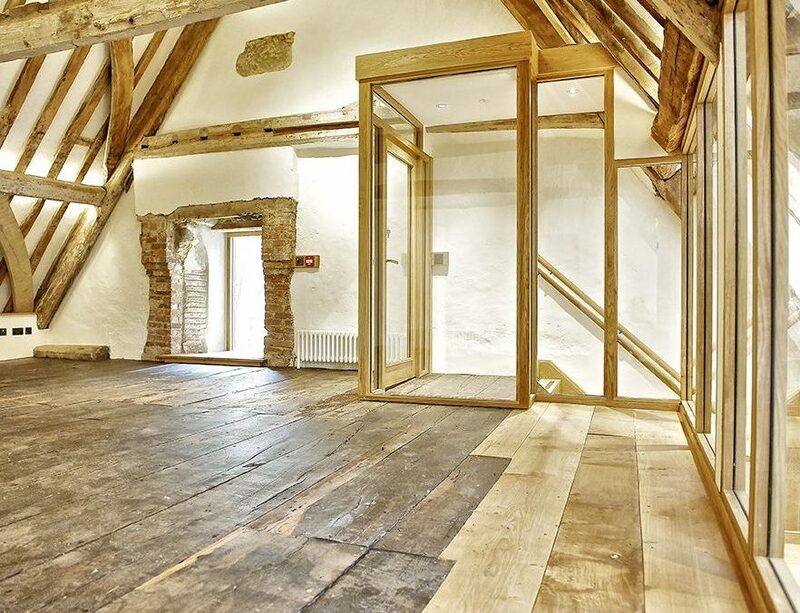 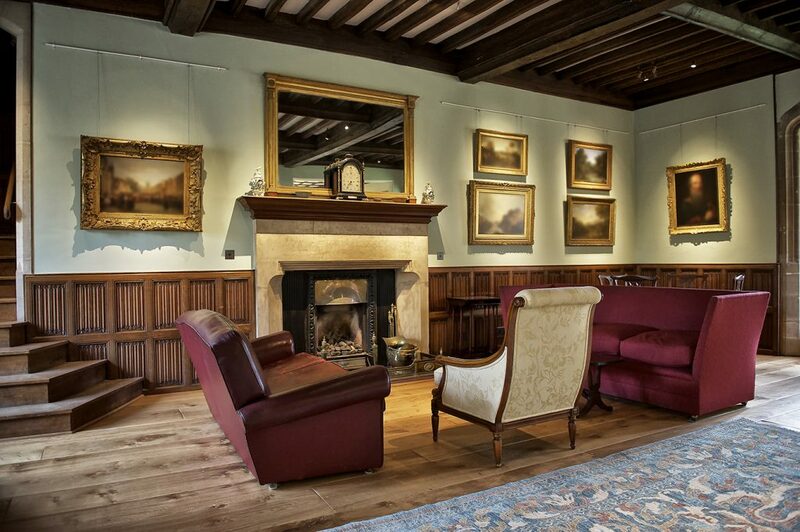 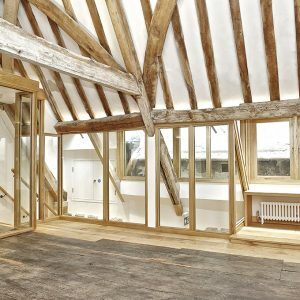 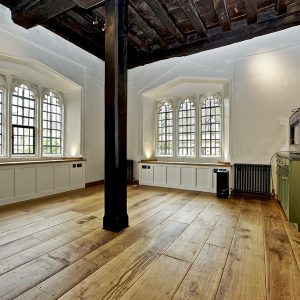 This project involved refurbishing the SCR within a very historic building. 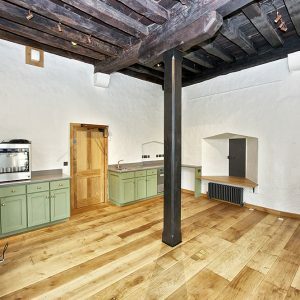 We had to comply with strict Heritage requirements for this job, as we needed to create a best match with the surrounding historic buildings and fabric. 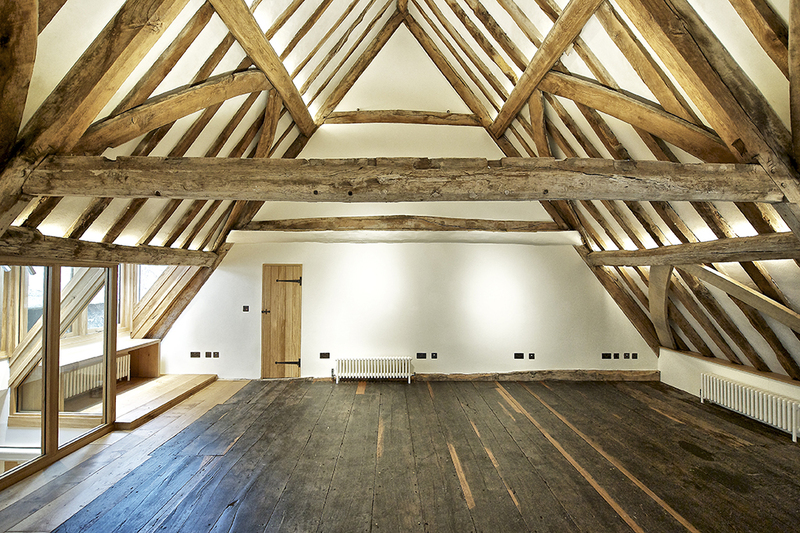 For example, during the course of the project we uncovered timber-work and beams dating back to the 14th century. 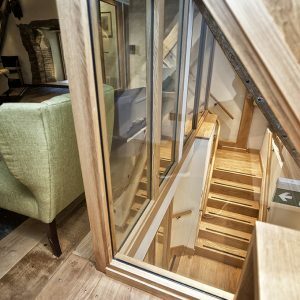 Another challenge of this project was the limited space we had to work in to install the main feature: a lift that would provide disabled access to this room. 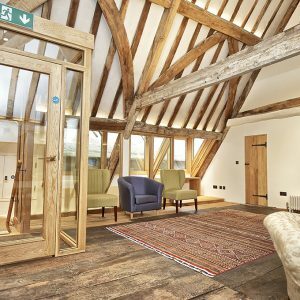 We also had to work with extreme care and attention as there was a busy live college environment surrounding the site we were working in. 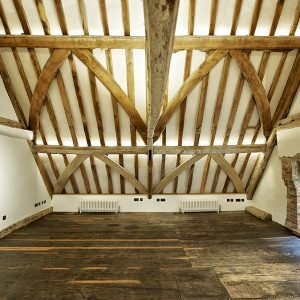 Our expertise and ability in using traditional materials and work practices also came to the fore here, as we needed to use lime to coat the underside of the roof area. 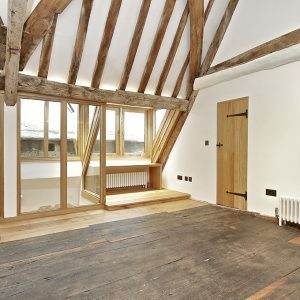 Ancient timbers and contemporary features sit side by side. 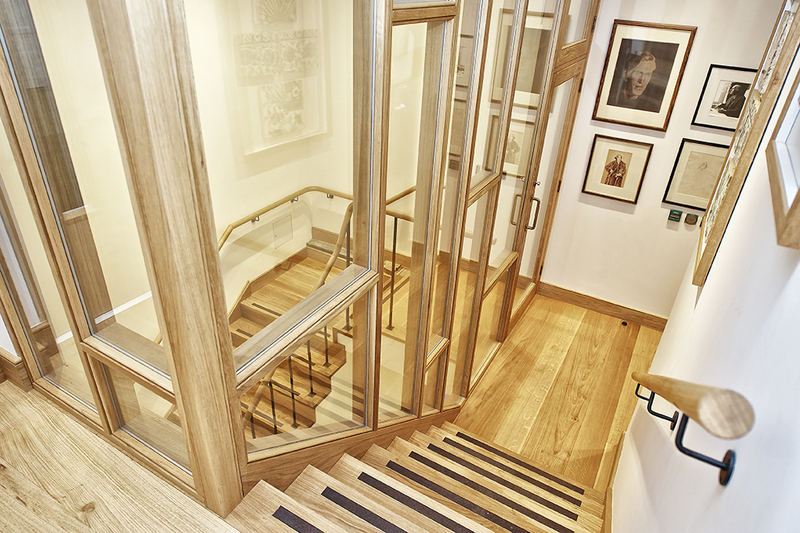 We employed trusted subcontractors for all the main sub-con parts of this project. 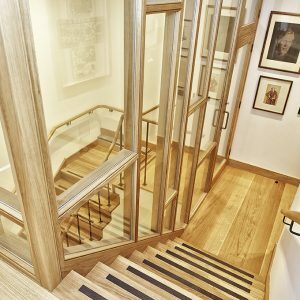 In order to ensure that all aspects of the project were delivered to the client’s satisfaction we made sure that we took an active lead role in liaising with the client’s architect over the details of the design. 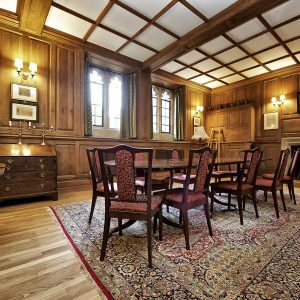 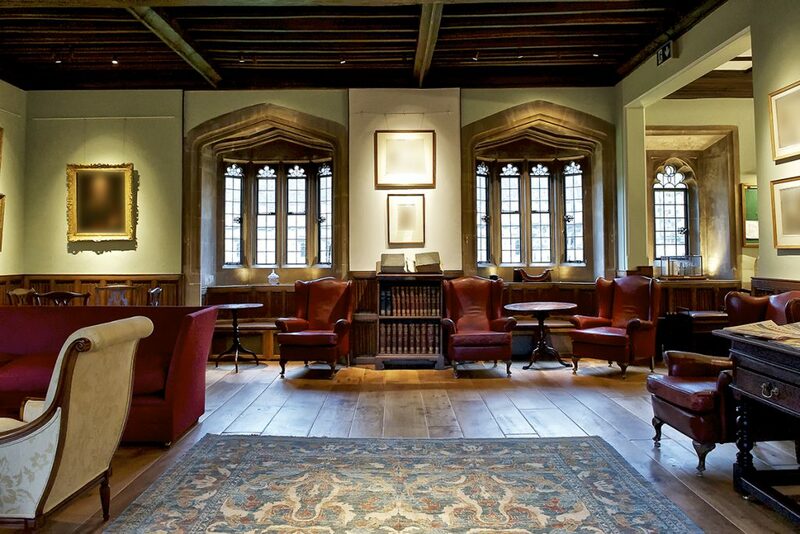 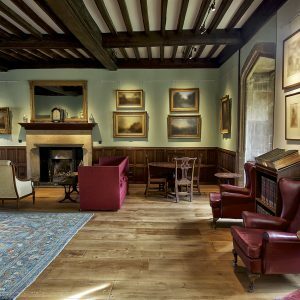 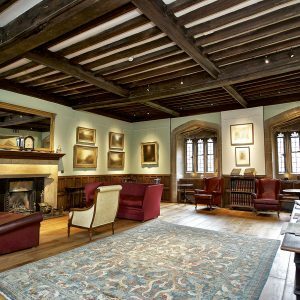 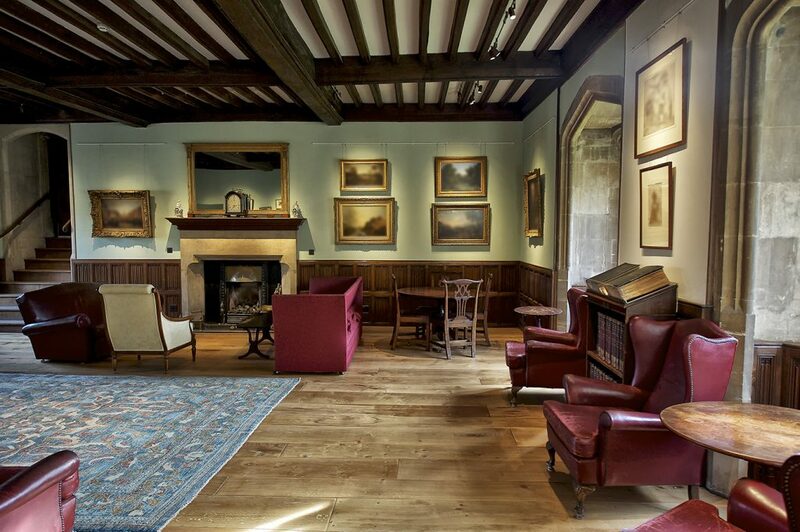 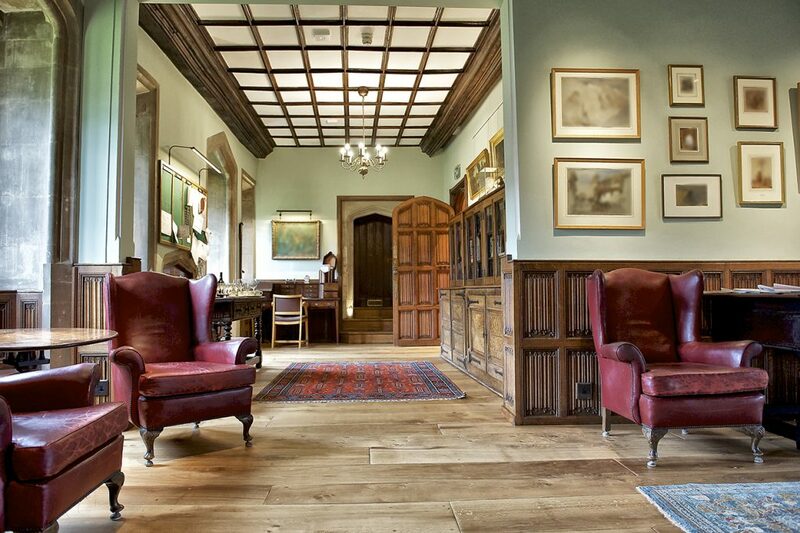 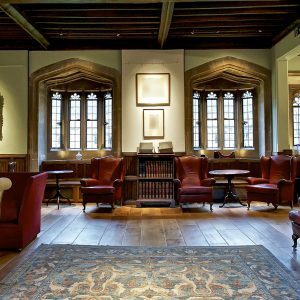 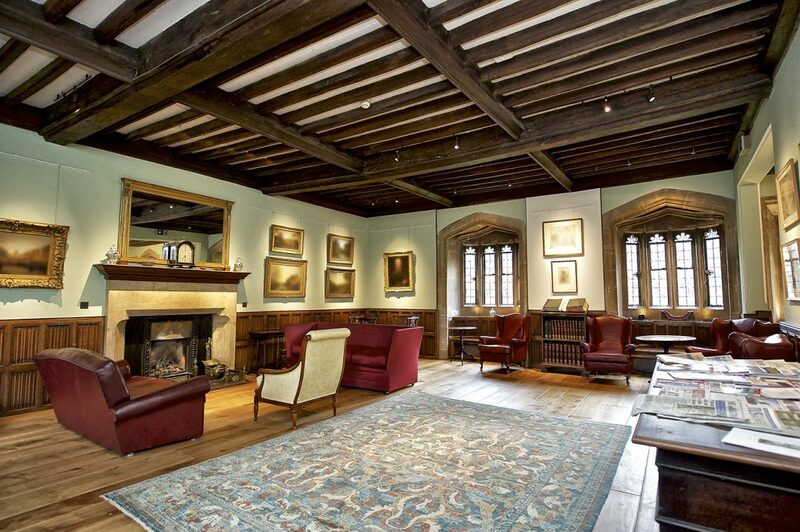 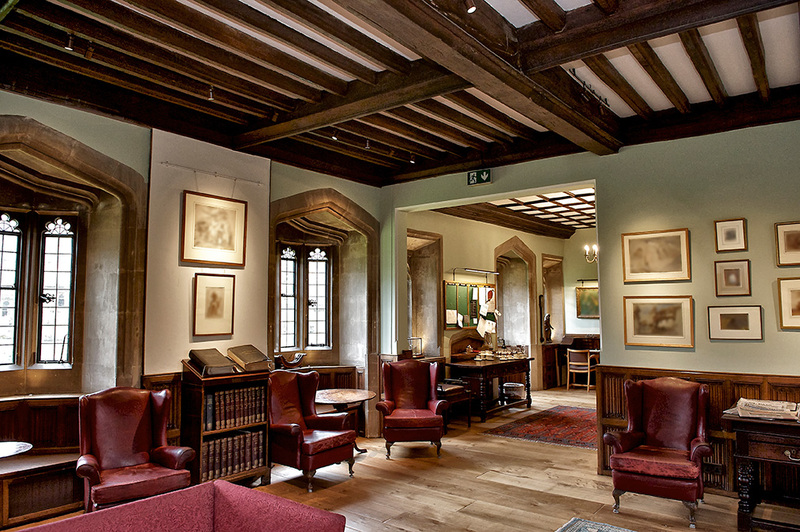 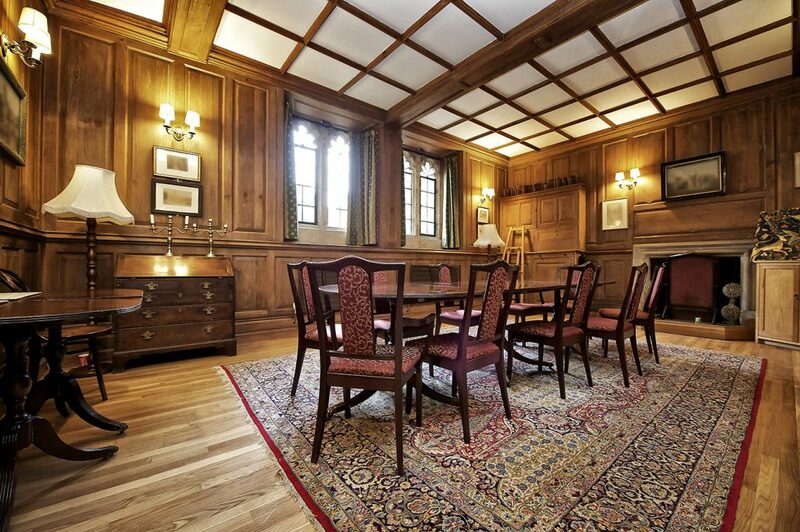 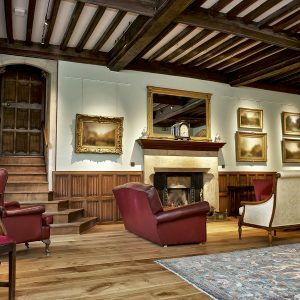 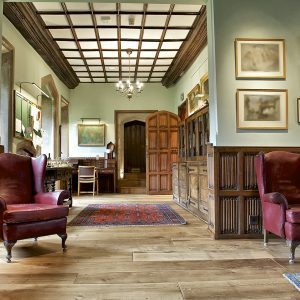 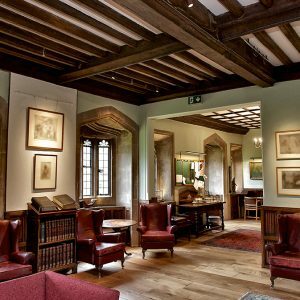 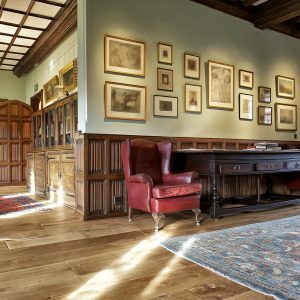 Restoration of an Oxford College Senior Common Room. 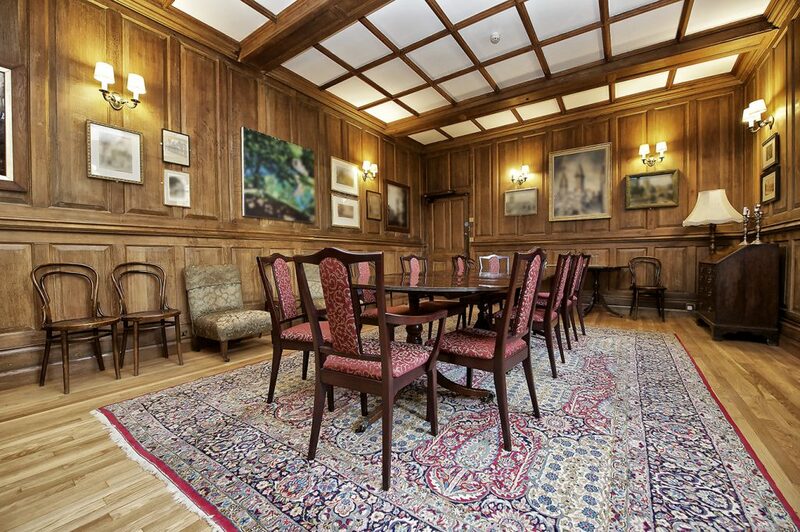 making process associated with any design and monetary issues. 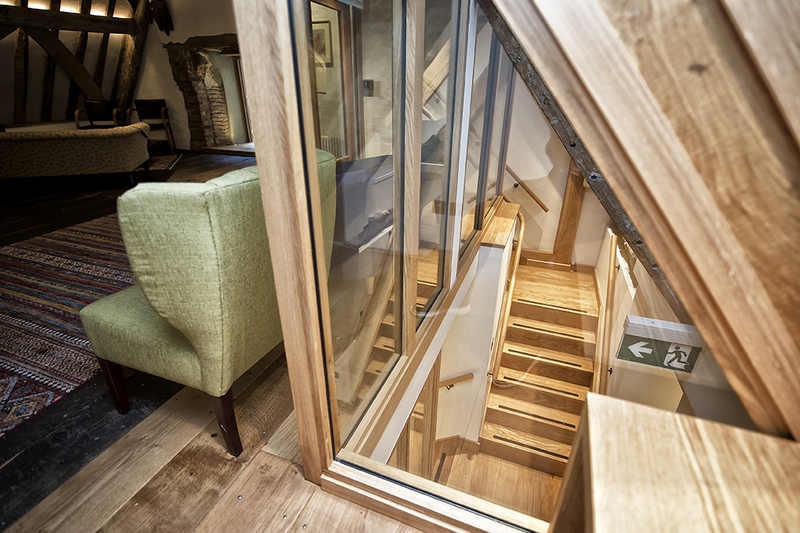 This ensured that we kept the project on time and delivered within the budget. 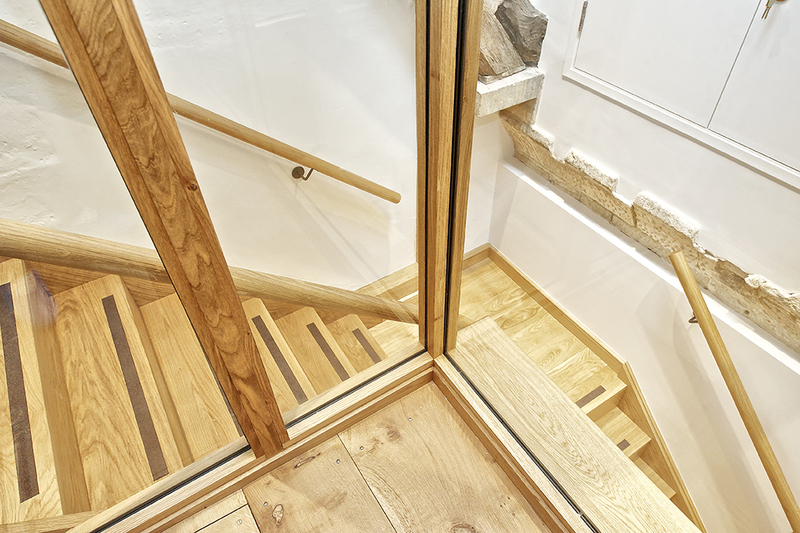 For this particular project, a large joinery package formed the bulk of the new work. 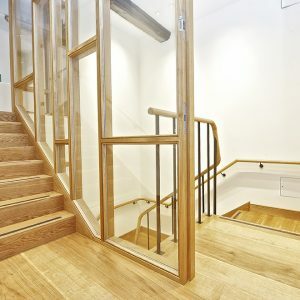 We carried this out through our in-house joinery division which enabled us to make several ‘on-the-hoof’ redesigns of various elements to overcome numerous issues on site which needed creative thinking. 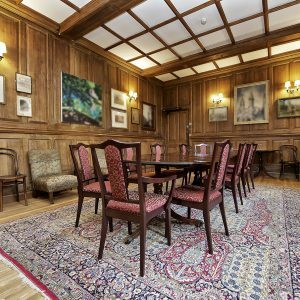 It would have otherwise been difficult, costly and time-consuming if we had subcontracted this work out, and that would have adversely impacted budget and schedule. 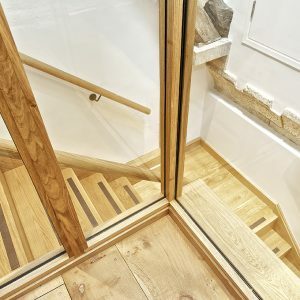 We always take great pride and interest in all elements to produce a coherent, best quality outcome, and this was particularly true in the case of this project. 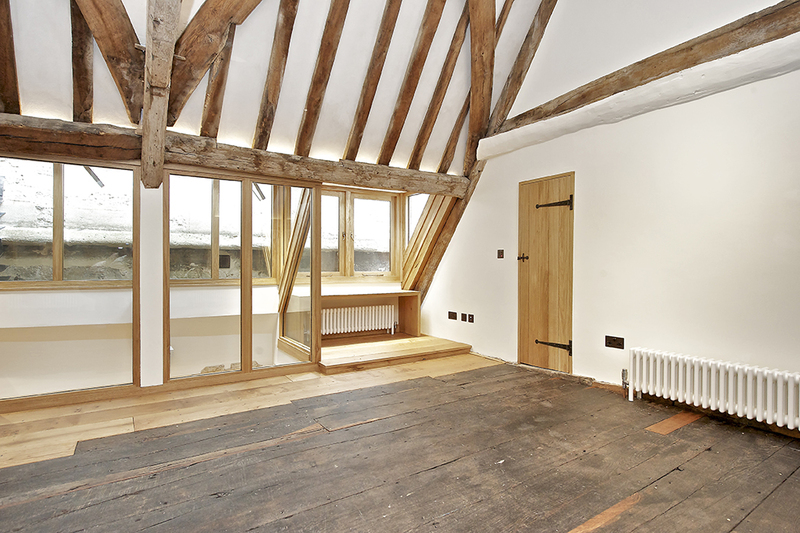 The project was completed to the agreed timescale and the client was absolutely delighted with the results. 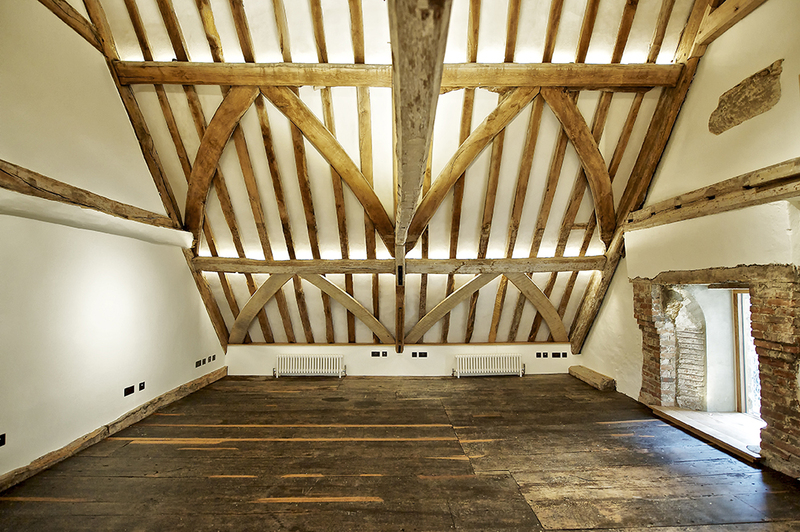 The roofspace is now occupied for the first time in many hundreds of years. 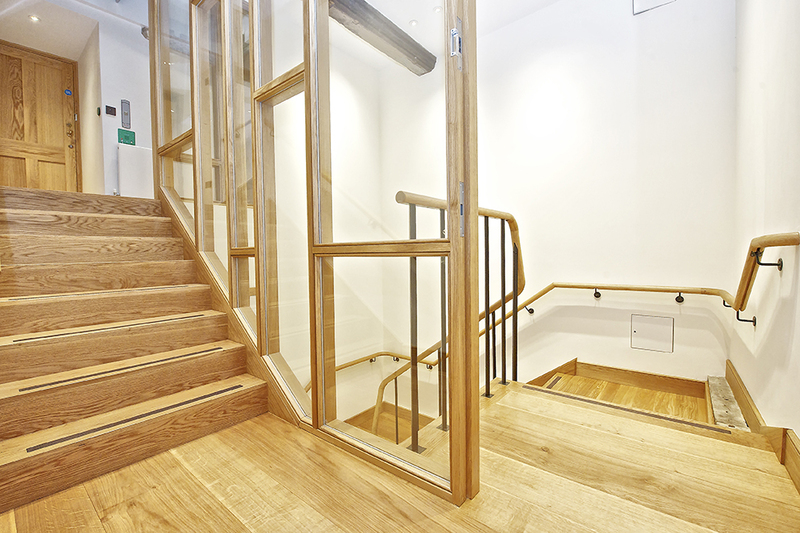 Our beautiful joinery creates a stylish, contemporary stairwell.